It's holiday season, time of the year that we eat the most because of Christmas parties held by relatives, friends, employers, officemates, etc. ; at different days of the month. 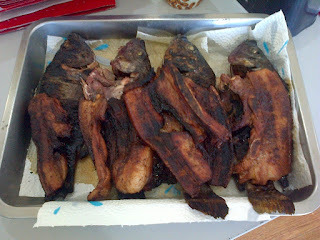 This is in celebration of Catholic's belief that Jesus was born on 25th of December. 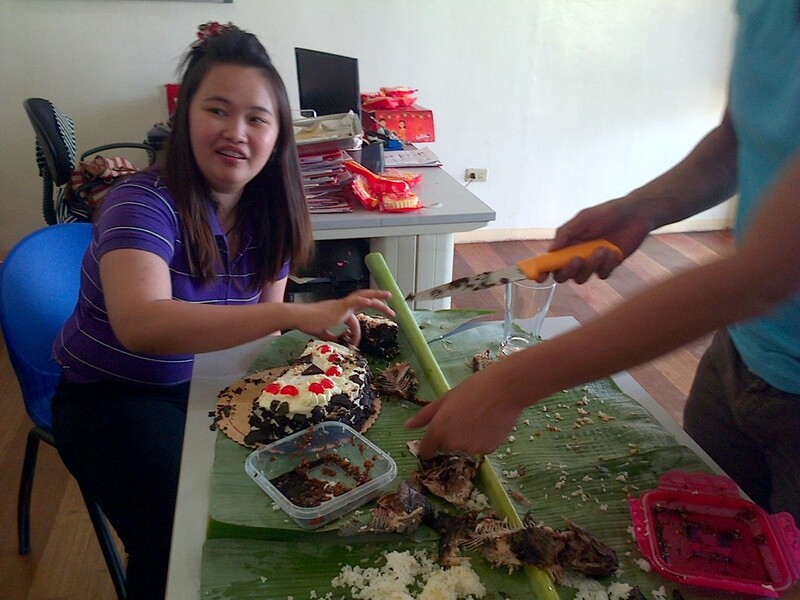 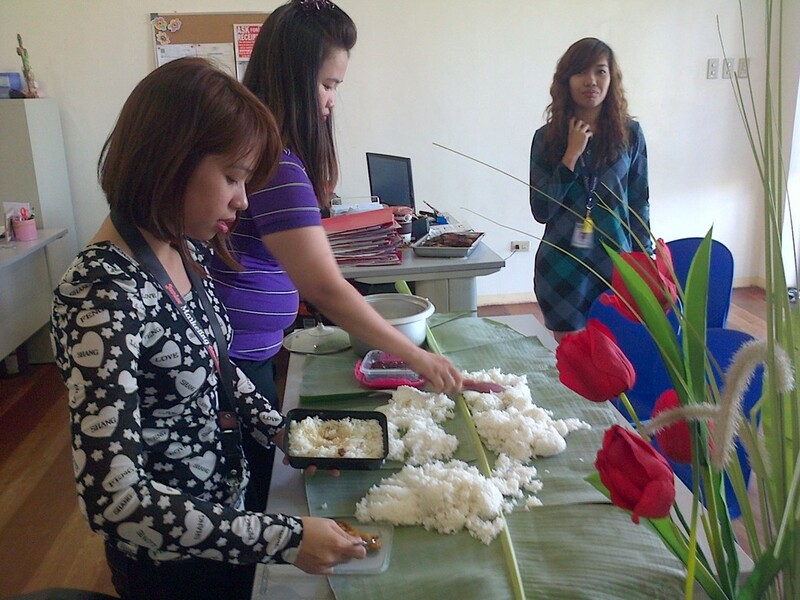 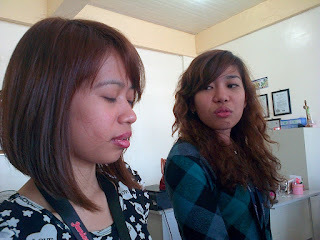 We celebrated our simple Christmas party at office by eating boodle fight style. Boodle fight is a military-style way of eating on a long table, on a banana leaf instead of plate, and with bare hands. 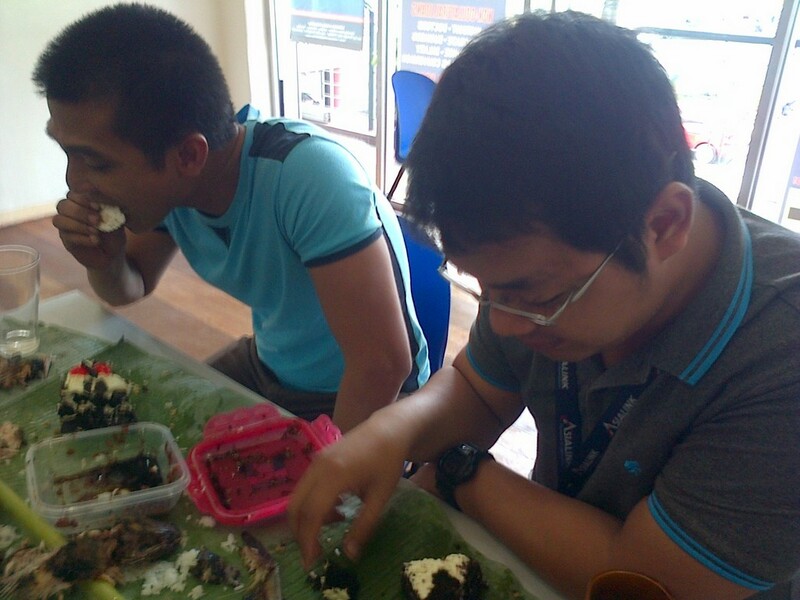 On our menu, we had; pork liempo, rice, soy sauce, grilled tilapia, and a Red Ribbon cake from our client. 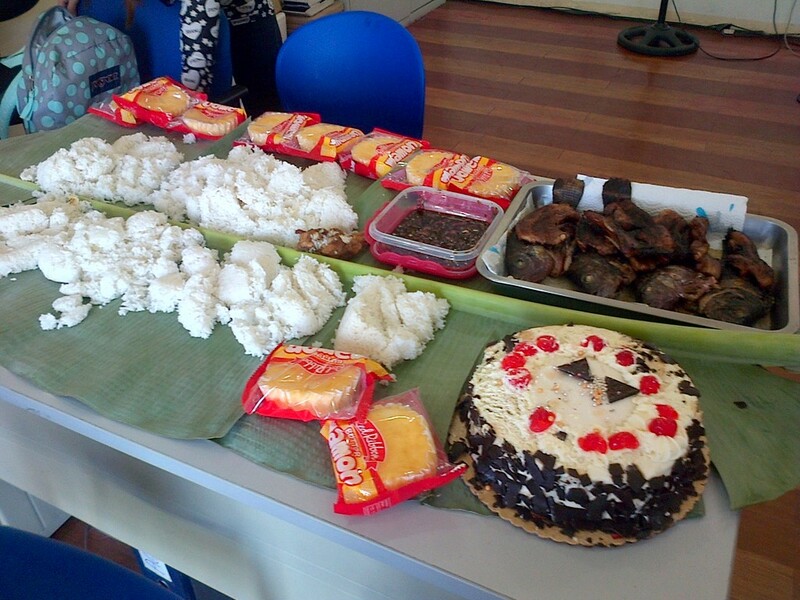 This is our second time to eat boodle fight style in the office, the last was in July 2015. 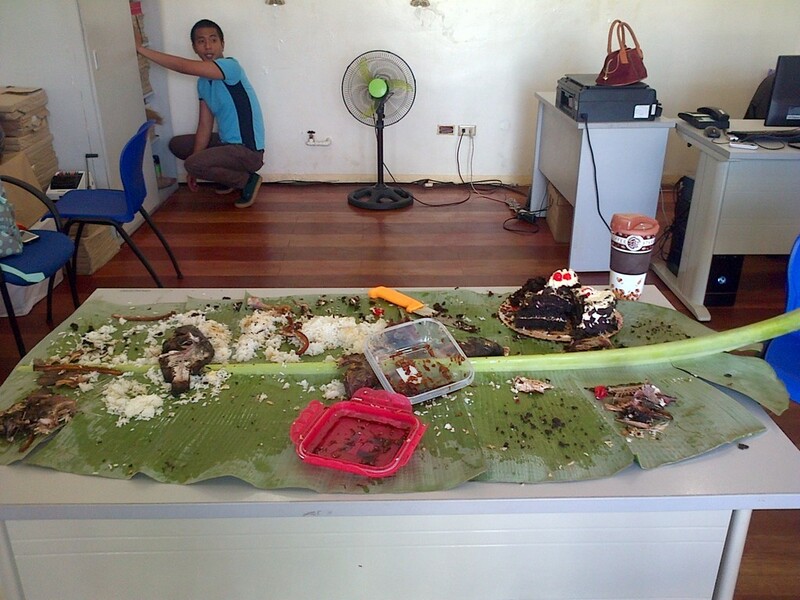 That's all, happy new year.